In the first project I participated in, a team of ShareFile code writers spent a full day installing a gazebo on the SEEDS property. It was fun watching a team of people who sit behind desks all day experience the outdoors! That gazebo is still standing proudly in the garden today. Another year, we worked with employees from a local coffee company to weed and edge the gardens with paver stones. At the end of that day, the gardens all looked so tidy with their new pathways in place. For me personally, I have experienced things at SEEDS I probably wouldn’t have experienced otherwise. For example, I learned that tomato and basil plants should be planted near one another. The Citrix employees who visit SEEDS always agree that these are things you can’t learn in an office! It has also been inspiring to watch Citrix become more and more involved with SEEDS through corporate giving. 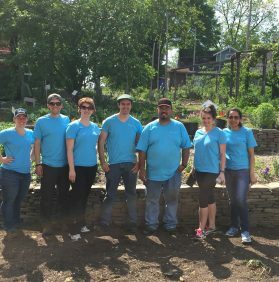 In addition to sending groups of volunteers several times a year through Citrix’s paid volunteering days, Citrix has also partnered with SEEDS three years in a row as a sponsor of the Harvest Dinner. This year, Citrix is a Cultivator Sponsor of the event. Citrix ShareFile in Raleigh loves its SEEDS family in Durham. We look forward to many more hours of volunteering and fun! 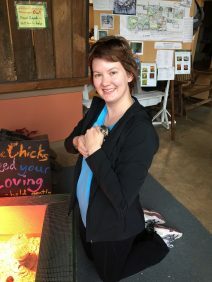 Joelle Andrews began working at Citrix ShareFile in Raleigh, NC five years ago. She is a Marketing Automation Manager and a team leader for Citrix Corporate Citizenship in Raleigh. Outside of work, Joelle loves getting lost in a book, practicing yoga, and trying great local restaurants. This website can someone do my assignments offers thousands of children’s songs, lyrics, sound clips and teaching suggestions.